Elegant and effortlessly beautiful! Ladies in hats enter the horse show grounds for free until 1pm on Wednesday, May 30th as part of Ladies Day at Devon. The festivities begin with the annual Devon Hat Contest sponsored by Cartier. Lovely ladies can register at the Pavilion starting at 10 a.m., followed by a stroll along the promenade route passing the judges. Local celebrities will be on hand to judge and Bill Henley and a television crew from NBC 10’s The Ten Show is filming the festivities and lovely ladies! 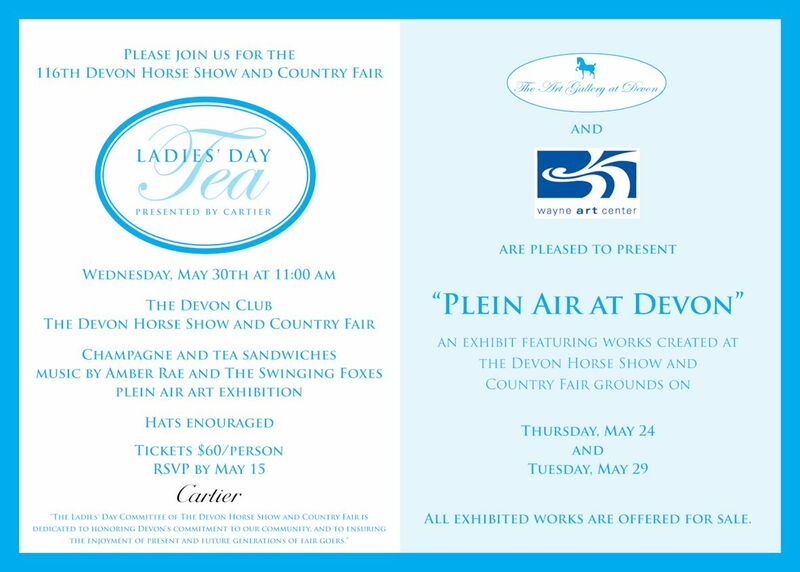 Following the Hat Contest will be the Ladies Day Tea beginning at 11am at the Devon Club. Presented by Cartier, there will be champagne and tea sandwiches served. The ladies will be entertained with music by Amber Rae and the Swinging Foxes. The Wayne Art Center will be showcasing a Plein Air Art Exhibition. Hats are encouraged! Tickets are $60 per person. In addition, the first 200 reservations receive a fabulous goodie bag with Lisi Lerch earrings, Boyds of Philadelphia gift card, and more! Proceeds benefit Bryn Mawr Hospital. Ladies in hats enter the horse show grounds for free until 1pm on Wednesday, May 30th as part of Ladies Day at Devon. 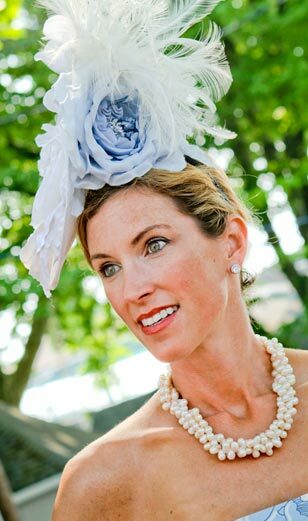 When: Wednesday, May 30th 10 a.m. to 4 p.m.
Devon Milliner: Ladies looking for a hat to sport at the contest can find plenty to choose from at Devon’s popular Hats by Katie booth. For more information, please email jenmcgowan229@gmail.com. For more information on any of the following special events please call 610-525-2533. Tickets for DHS are available over the phone, 610-688-2554, or via www.devonhorseshow.net. Gates will open daily at approximately 8:00 a.m. and close at approximately 10:00 p.m. The Country Fair area opens around 10:00 a.m. for the Midway and Shopping. The first Sunday, the gates will open at 11:00 a.m. and the Horse Show classes will start at 1:00 p.m.
General admission for The Devon Horse Show is $10 for adults and $5 for children 12 and under and seniors 65 and over. Reserved grandstand tickets are available ranging from $12 to $50 depending on the performance.